It’s been a while since I’ve done a book review here on the blog. Regular readers will know I’ve been busy writing my next novel since the start of 2019, but that doesn’t mean I haven’t been reading. However, it has meant I haven’t had so much time to write reviews. So I thought it was high time to share my thoughts – albeit briefly – on my five favourite reads so far this year and also to share the titles of the five books I plan to read next. Sunset Over the Cherry Orchard by Jo Thomas. A Spanish setting with flamenco, fine food, and a cherry farm provide a great backdrop to the story of Beti and Antonio. Lovely! I reviewed A Winter Beneath the Stars by the same author here in early January. The Northern Lights Lodge by Julie Caplin. Iceland is the setting this time and Lucy, from the UK, is the new manager of a lodge hotel there. Alex is the Scottish barman at the hotel but he’s not exactly who he claims to be. Expect lots of cosy log fires indoors and glaciers, hot springs and the northern lights outdoors as the backdrop to this well told story and intriguing love story. Summer at the Art Cafe by Sue McDonagh. I loved this story of Lucy who wins a motorbike, and her developing relationship with both the bike and her, at first rather grumpy, motorcycle instructor Ash. Great characters and a refreshingly different story. Meet Me at the Art Cafe by Sue McDonagh. Yes, a second book by the author above. I read a review of this one which recommended reading the above one first. I’m glad I did as you get to catch up with Lucy and Ash – as well as reading about the new but difficult relationship between Jo and Ed. These are two characters with all sorts of baggage but of course as a reader you end up rooting for them to get together. As with the first book in this series, there is a great seaside setting, a wonderful cast of supporting characters and yes, more motor bikes. Amazing Grace by Kim Nash. This definitely looks like my sort of romantic read. Wild Fire by Ann Cleeves. The final DI Perez story in the wonderful Shetland crime series. Only the Dead Can Tell by Alex Gray. Another author whose previous crime fiction I’ve enjoyed. Cold as the Grave by James Oswald. A new crime writer for me but he comes highly recommended. And it’s worth noting that I’ve discovered most of the above books because of reviews by some amazingly dedicated book bloggers. 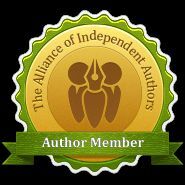 So thank you to Anne at Being Anne , Joanne at Portobello Book Blog and Linda at Linda’s Book Bag to name only a few… These blogs are well worth a visit if you’re looking for reading suggestions. So, what are your best reads of 2019 so far? And what are you looking forward to reading next? Feel free to comment below. I’m so delighted you’ve found good books through my blog. Thank you so much for the mention!